Members who have reached 85 points (minimum age 55 and 25 years of service) and continue to work will have their premiums ceased. 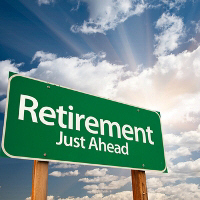 Upon retirement the member will submit “retirement form” and at that time the last 41 weeks will be determined. If any of the 41 weeks were weeks that premiums were deducted those weeks will be reimbursed. E.g. 1) Member is eligible for an unreduced pension on January 1st. (55 plus 30 yrs. service) and they continue to work however the deductions are correctly stopped at that time. Member decides to retire on June 1st of the same year. The member will submit the applicable form to Canadian Benefits and the plan administrator will go back 41 weeks from the retirement date and pay back all premiums paid within that period. In this case, the 41 weeks prior to retirement is August 19th of the previous year. Considering the member was deducted for LTD from August 19th until January 1, when he was eligible for an unreduced pension, he/she would be entitled to those 19 weeks of premiums. E.g. 2) Member is eligible for an unreduced pension on January 1st. (55 plus 30 yrs. service) and they continue to work however the deductions are correctly stopped at that time. Member decides to retire on December 1st of the same year. The member will submit the applicable form to Canadian Benefits and the plan administrator will go back 41 weeks from the retirement date and pay back all premiums paid within that period. In this case, the 41 weeks prior to retirement is February 18th of the same year. Considering the member was not deducted for LTD from February 18th until he retired on December 1, he/she would not be entitled to any reimbursement of premiums as there were no premiums deducted during those weeks. This is based on members who have not reached 85 points are able to collect Ltd up to the date they have reached their 85 points and unreduced pension. We have submitted the names of the CTY members who have reached, and are eligible for an unreduced pension. We have been informed by the Company that the deductions have been ceased effective April 1, 2019. Any member who is deducted after they have reached 85 points (minimum age 55 and 25 years of service) they are to inform their Local Chairman and submit the “premiums deducted after 85 points form”. Canadian Benefits will reimburse those premiums that were deducted. Members are asked to advise of any errors of this nature, as well as if they have not been deducted at all asap. It is imperative for members to confirm that they are properly deducted to ensure the disability coverage is in place.